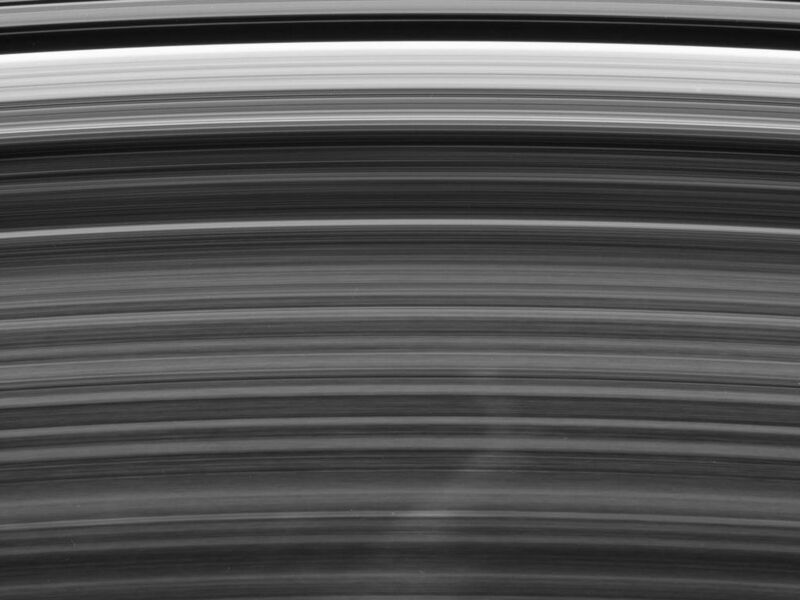 A bright spoke extends across the unilluminated side of Saturn's B ring about the same distance as that from London to Cairo. 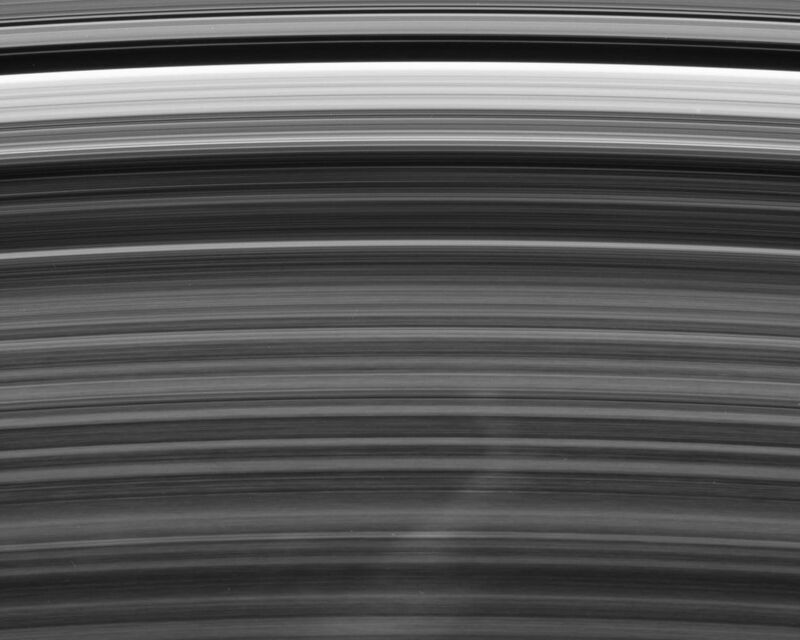 The background ring material displays some azimuthal (i.e., left to right) asymmetry. 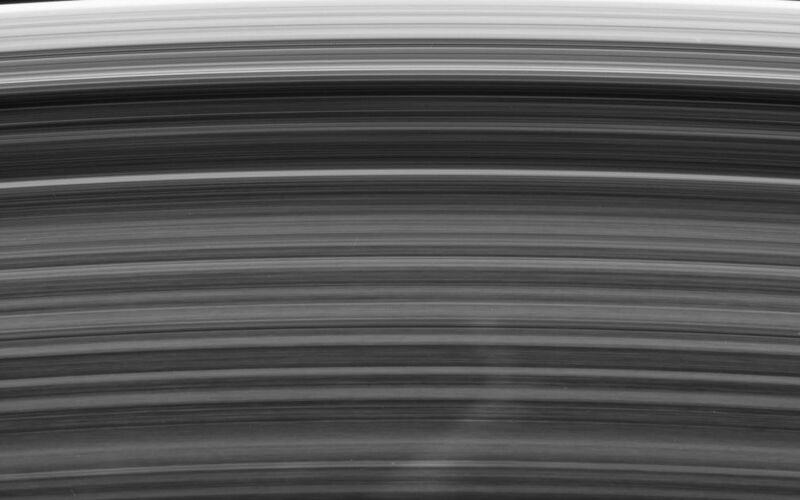 The radial (outward from Saturn) direction is up in this view. 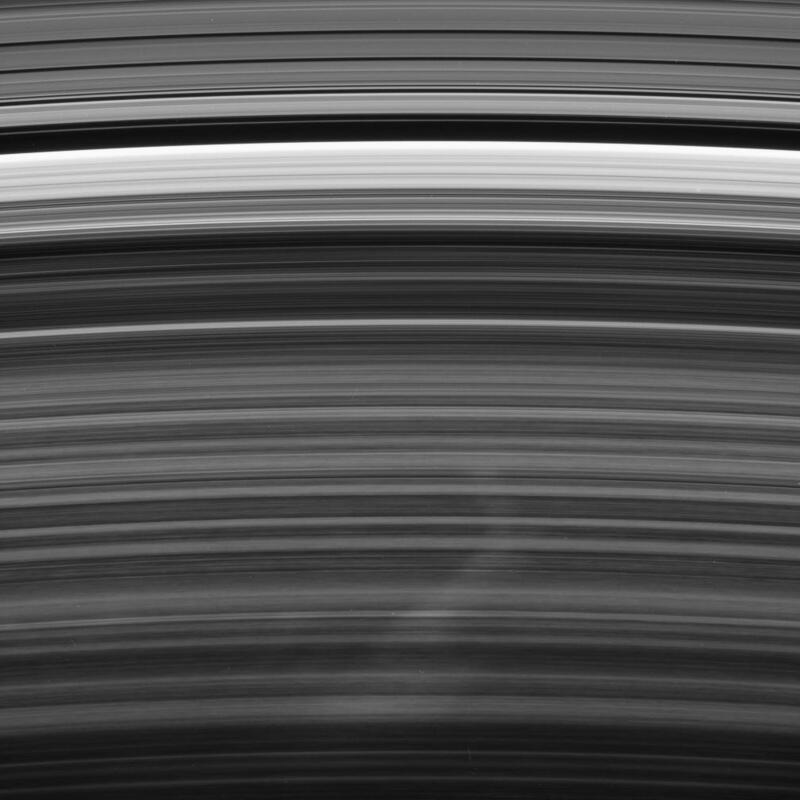 A noticeable kink in the spoke occurs very close to the radius where ring particles orbit the planet at the speed of Saturn's magnetic field. Such a connection is most intriguing to scientists studying these ghostly ring phenomena. If gravity alone were affecting the spoke material, there would be no kink and the entire spoke would be angled toward right, like the bottom portion. That it bends to the left above the kink indicates that some other force, possibly related to the magnetic field, is acting on the spoke material. The shape might also indicate that the spoke did not form in a radial orientation, thus challenging scientists' assumptions about these features. The image was taken in visible light with the Cassini spacecraft narrow-angle camera on Jan. 23, 2007 at a distance of approximately 1.6 million kilometers (1 million miles) from Saturn. Image scale is 10 kilometers (6 miles) per pixel.